This final posting of items the Smithsonian gem and mineral collection features phosphates, molybdates, and silicates in the collection. 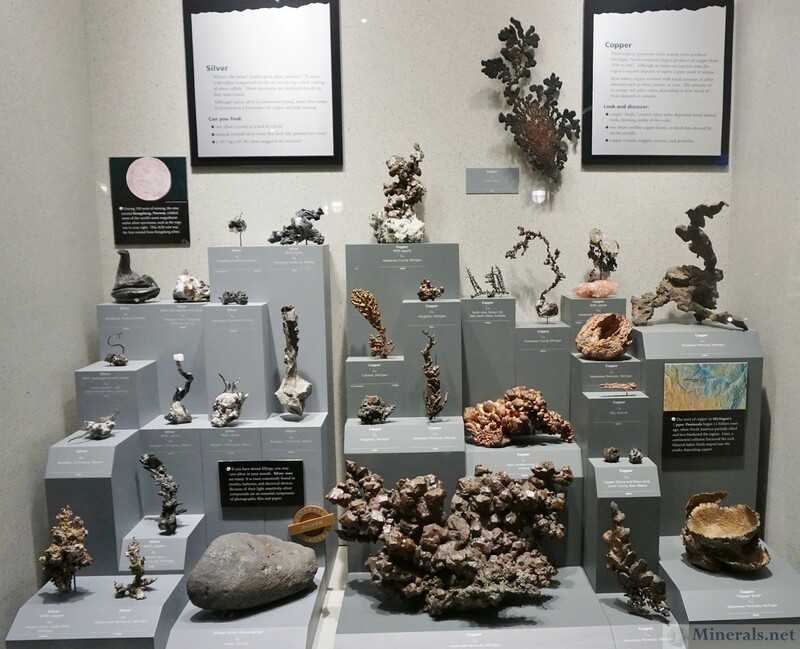 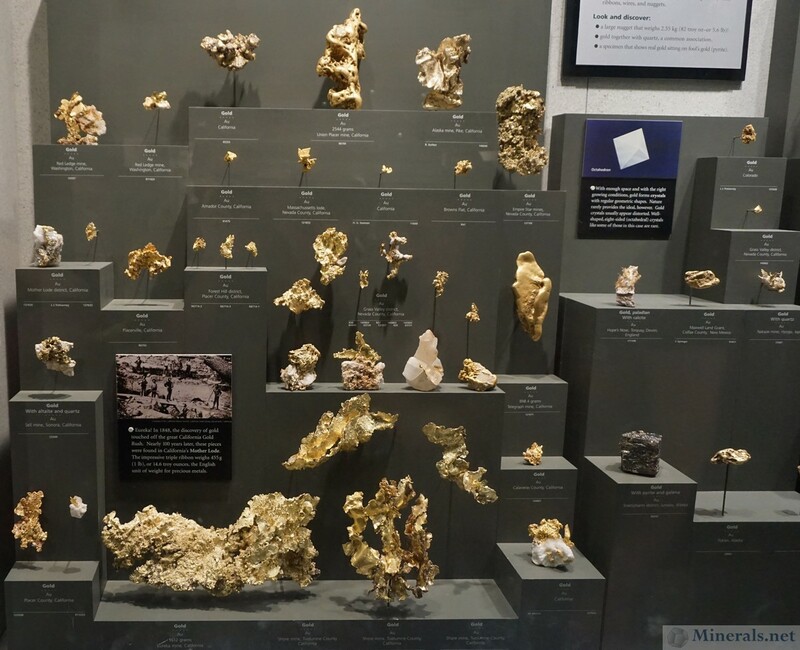 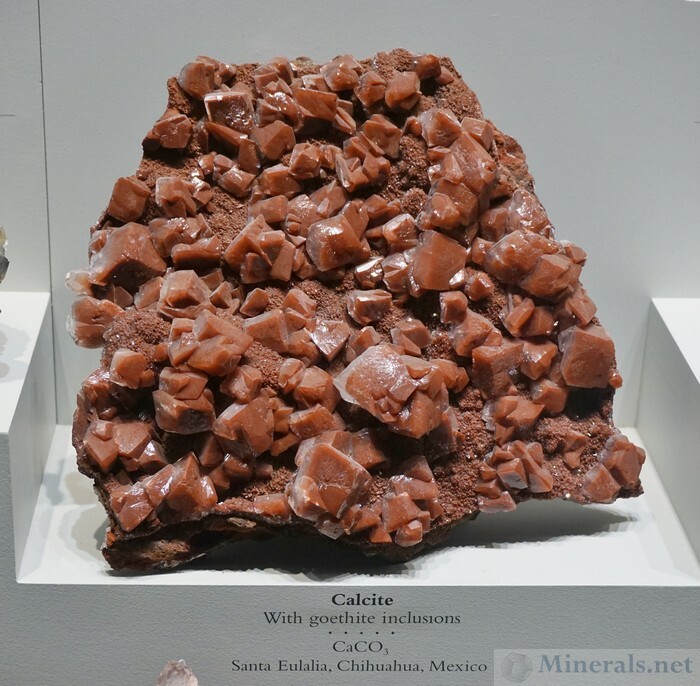 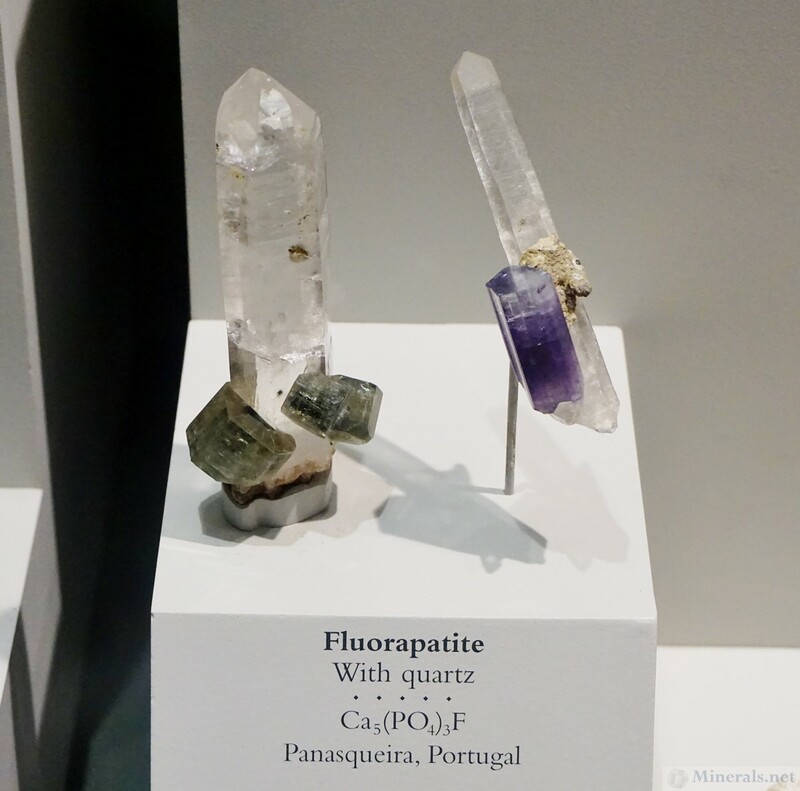 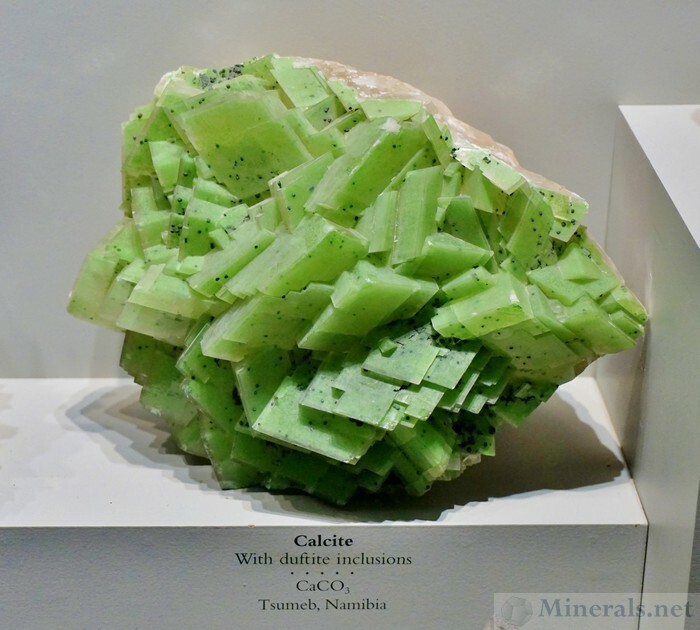 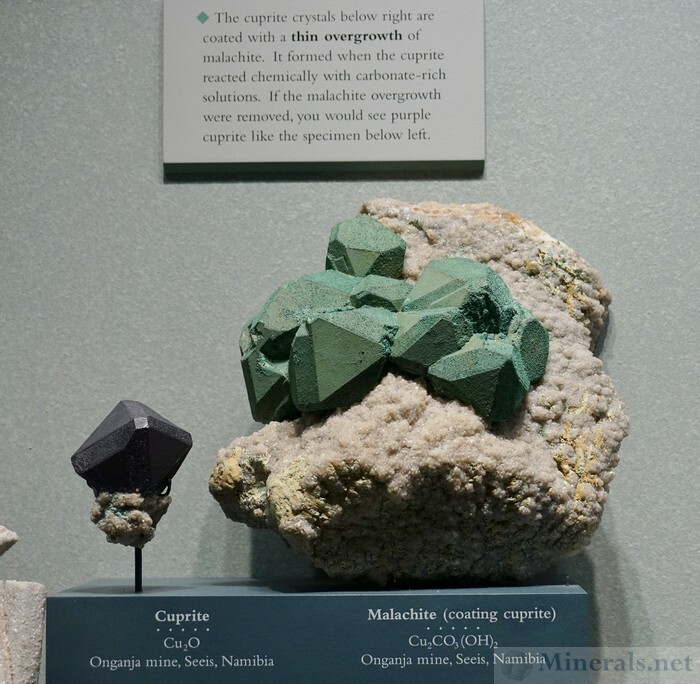 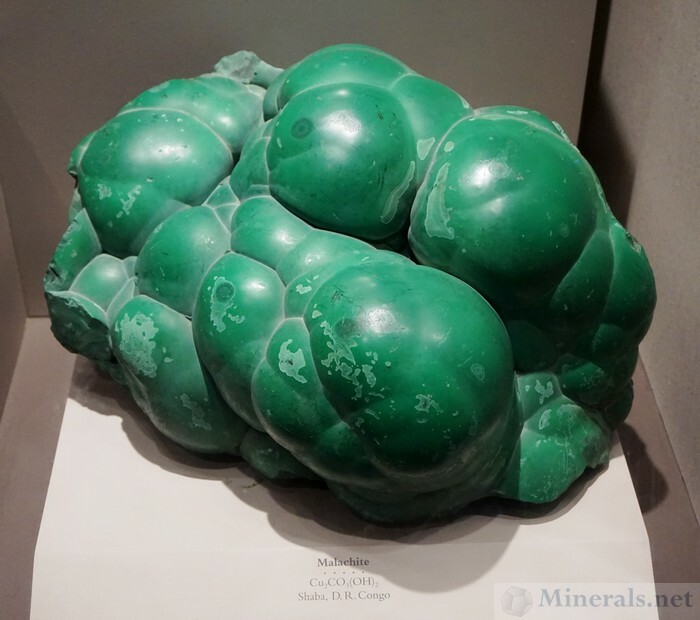 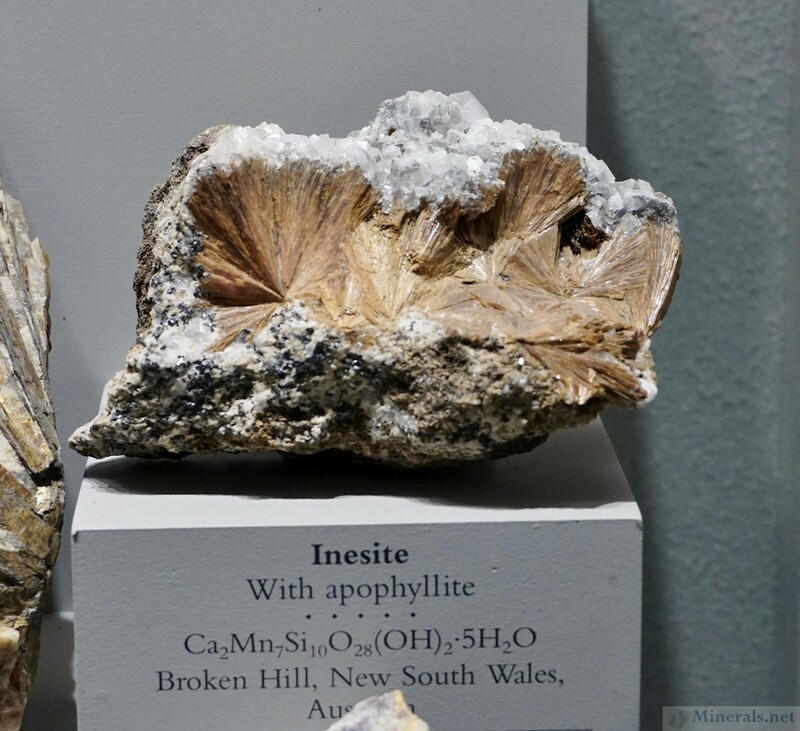 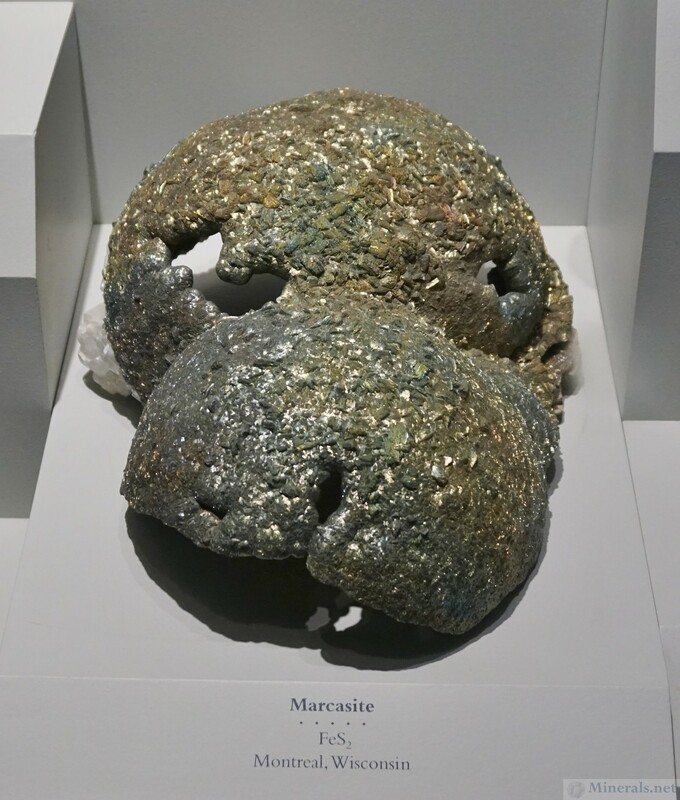 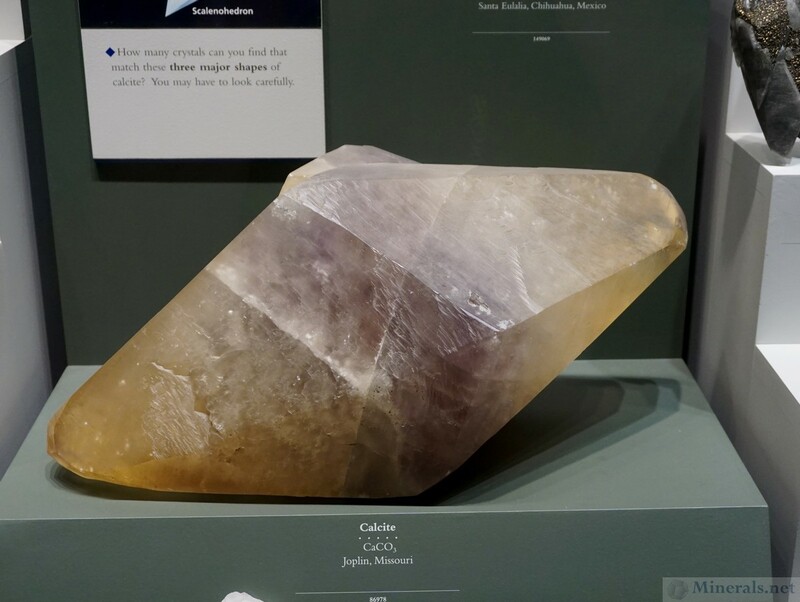 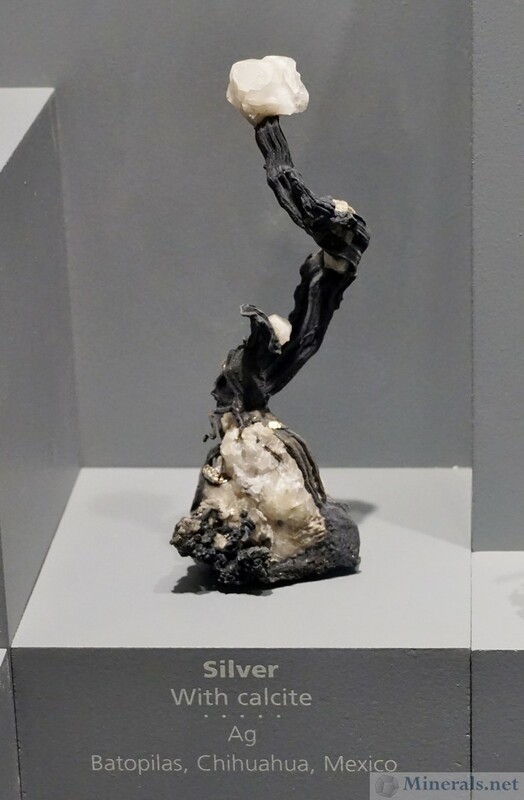 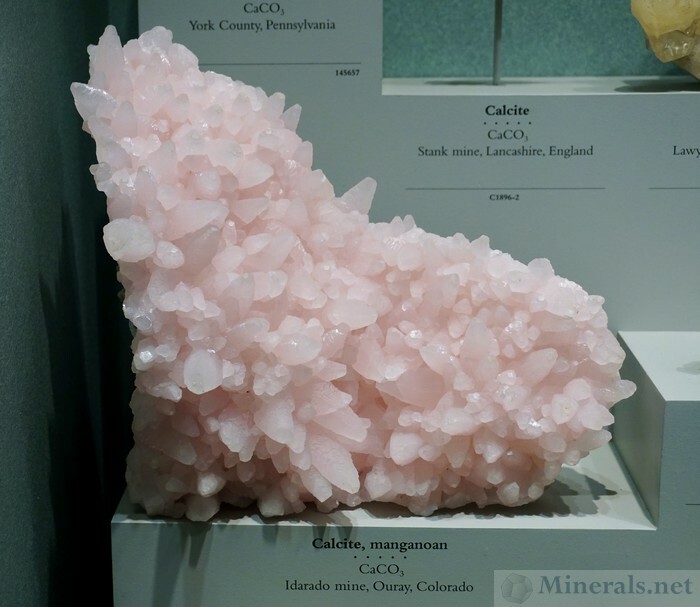 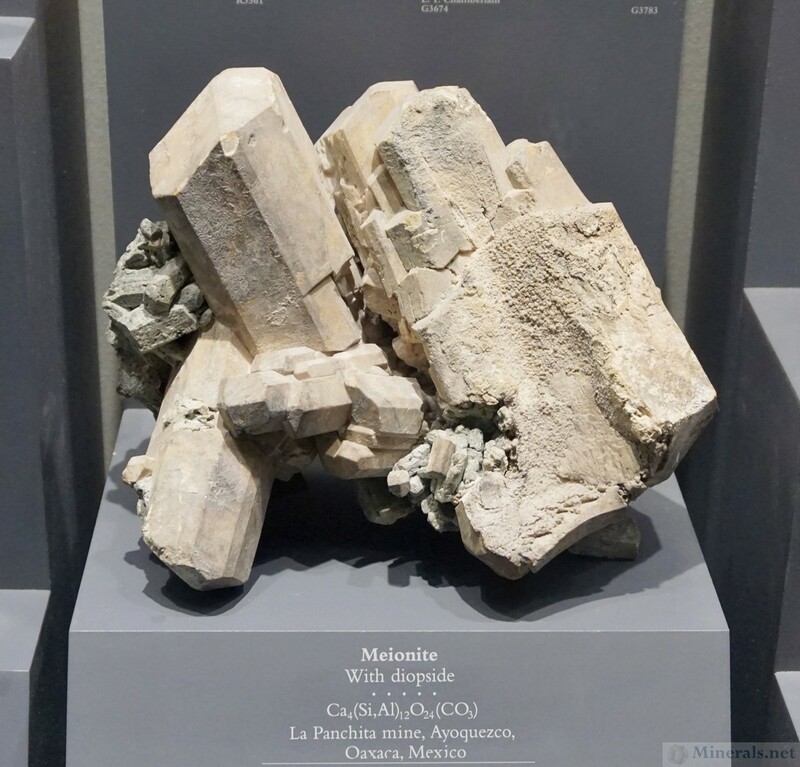 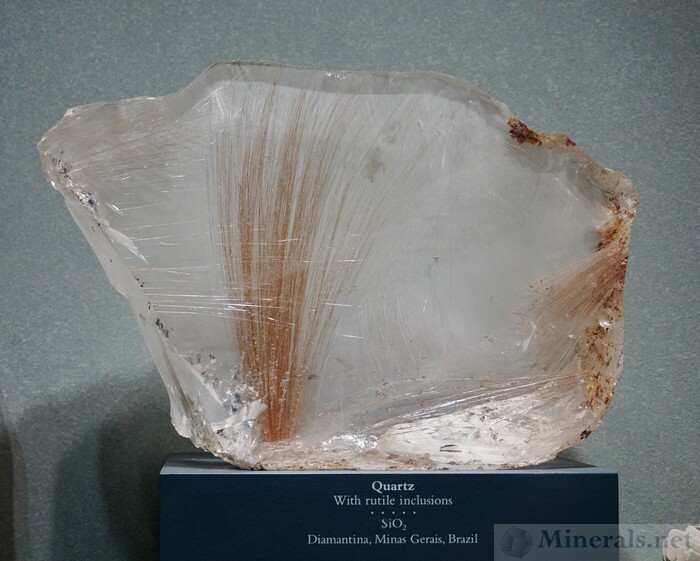 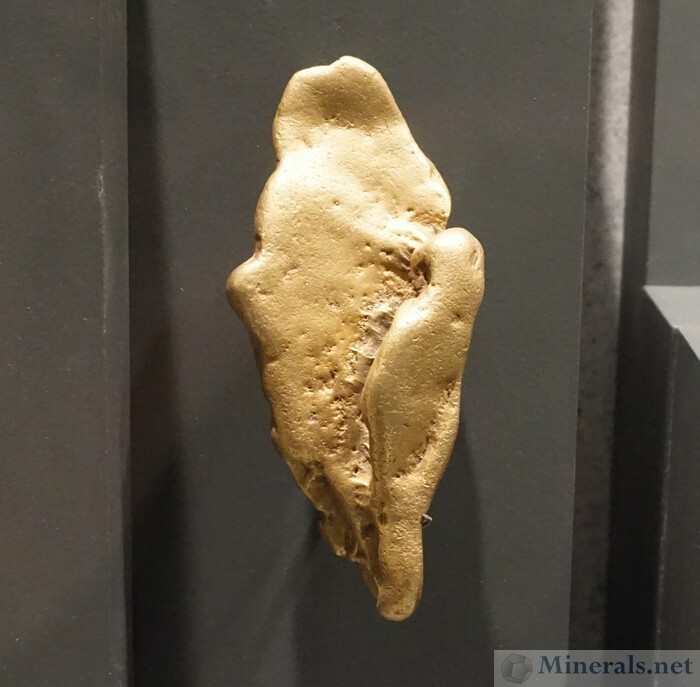 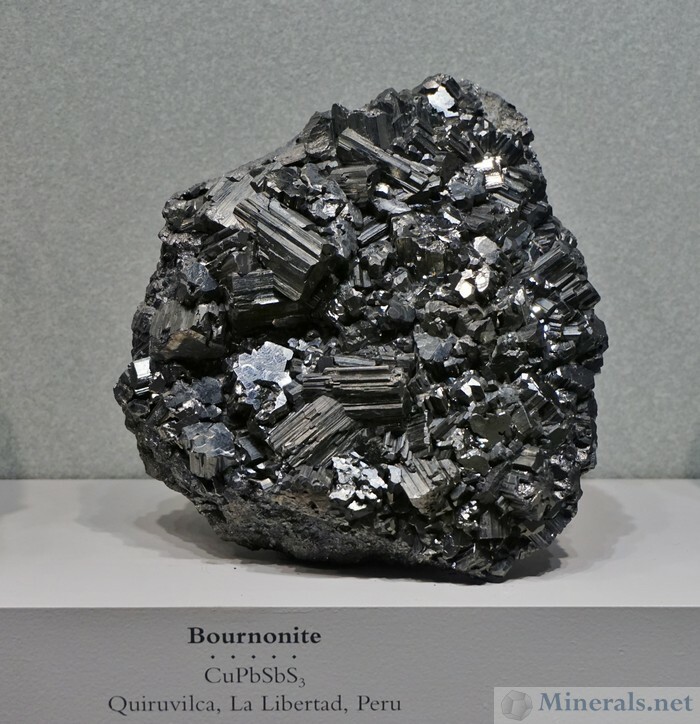 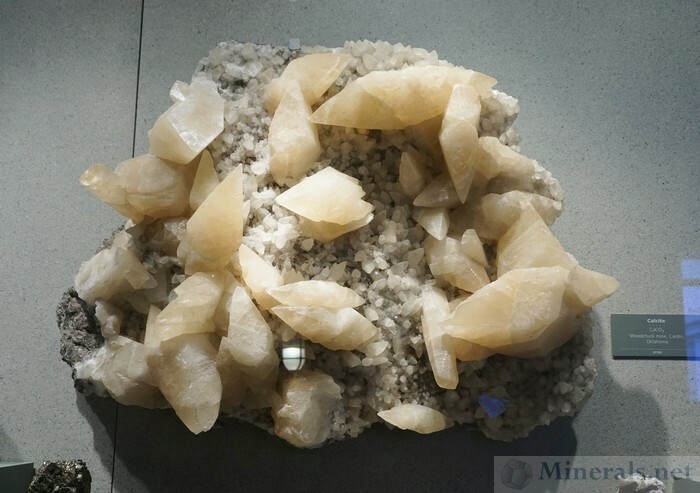 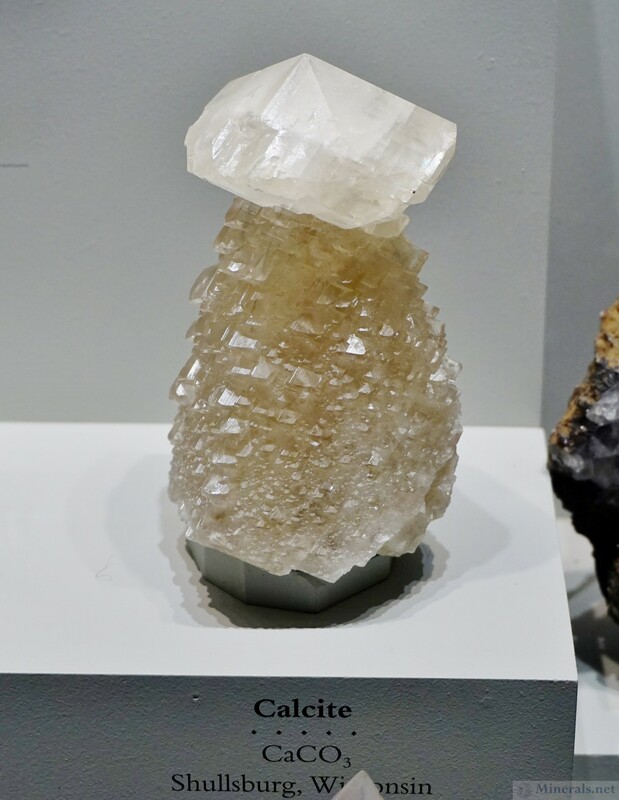 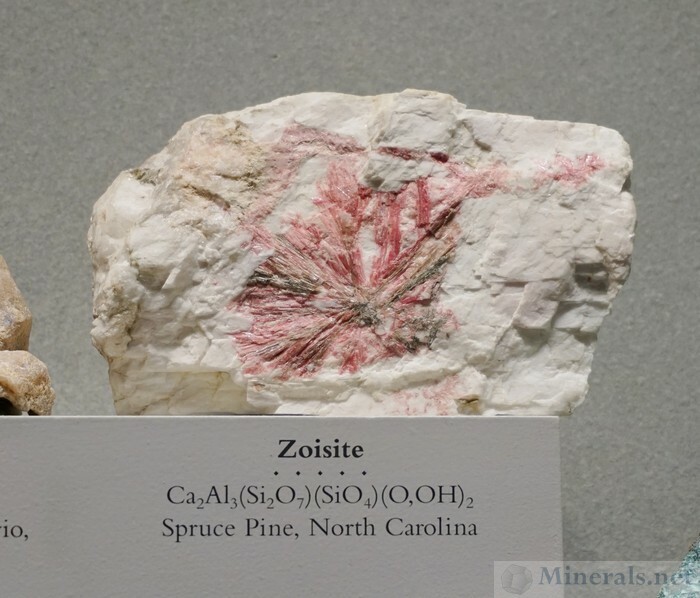 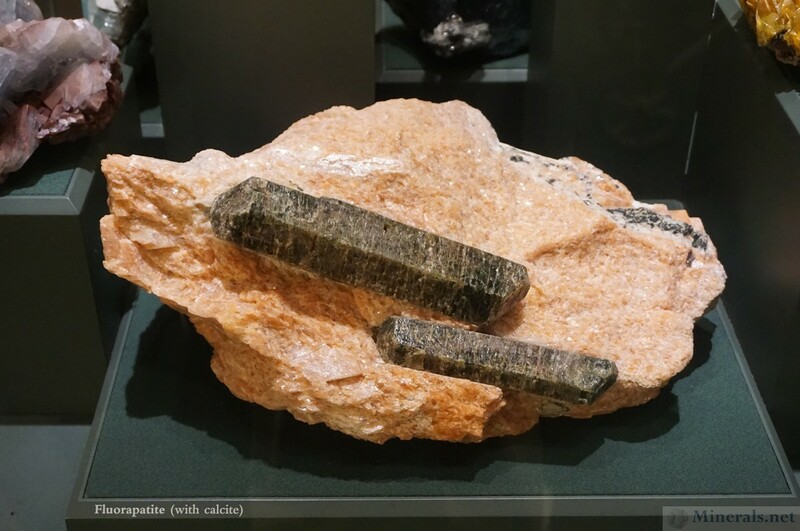 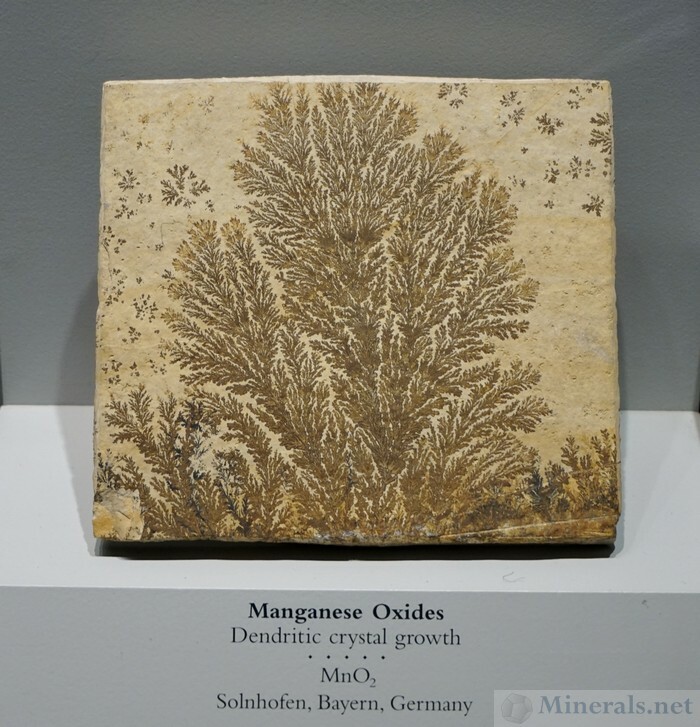 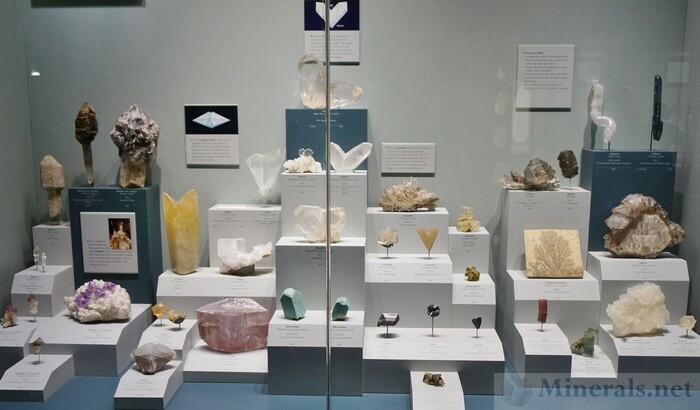 Continuing our picture gallery of minerals and gemstones in the Smithsonian Museum of Natural History collection, this post features some exceptional carbonate minerals on display in the museum. 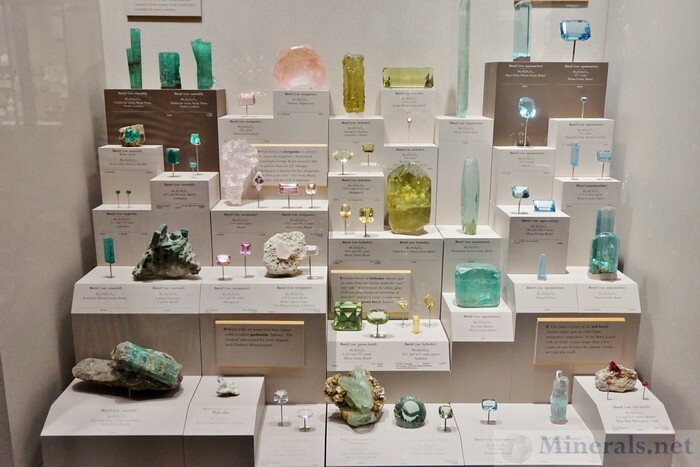 When we made our visit to the Smithsonian gem and mineral hall, we took hundreds of photos. 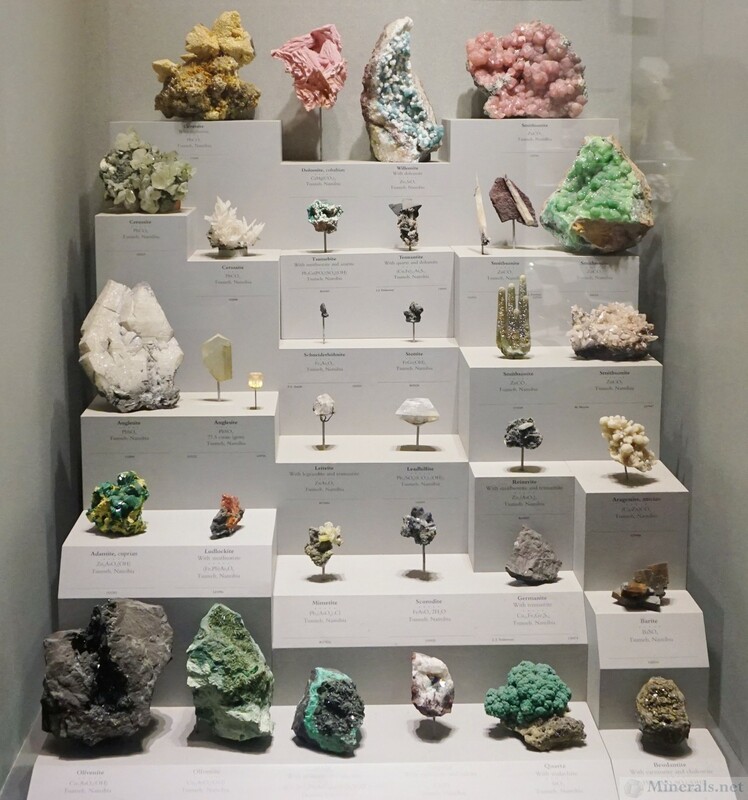 After going through all of them, there are over 60 we felt worthwhile to post. 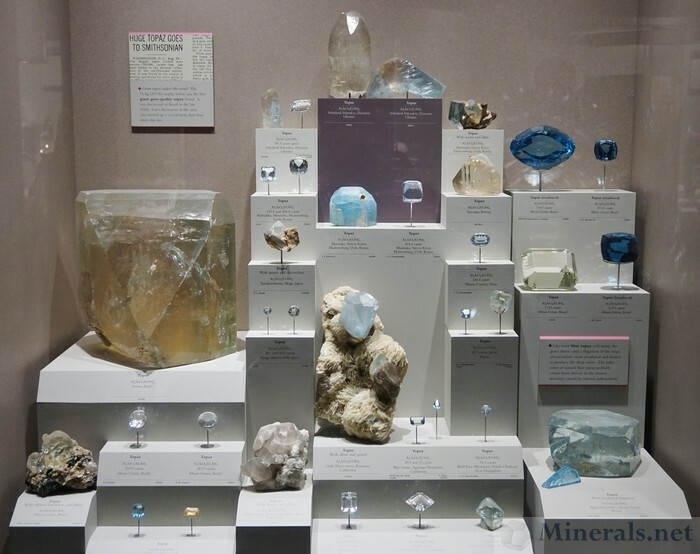 Instead of making one long post with all of them, we divided then into several posts of related items. We had to think of a common grouping method, so we chose to separate the posts by mineral type classification. 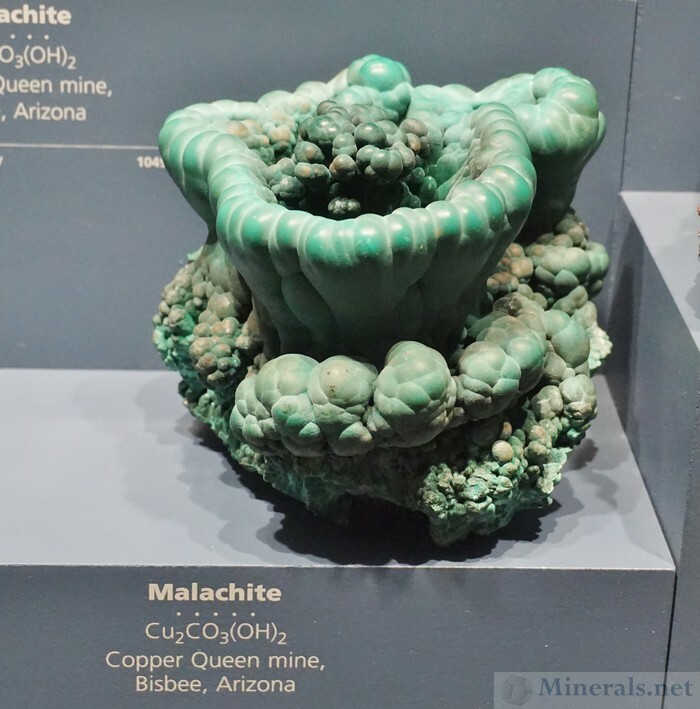 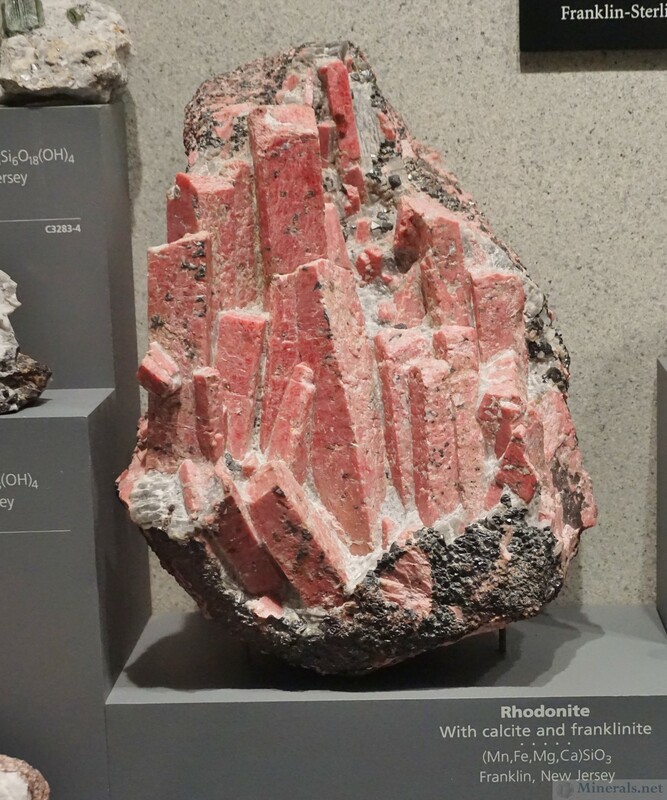 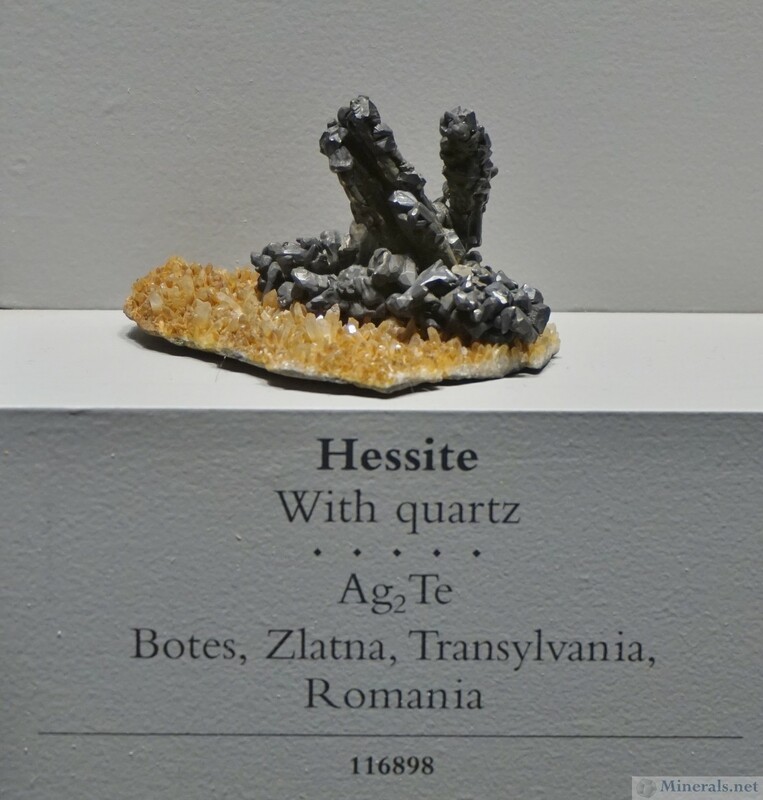 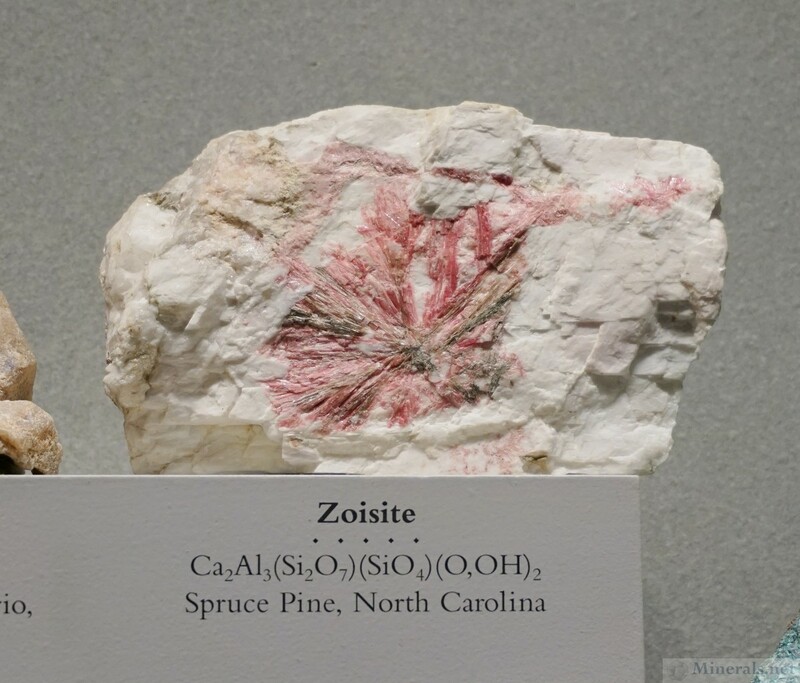 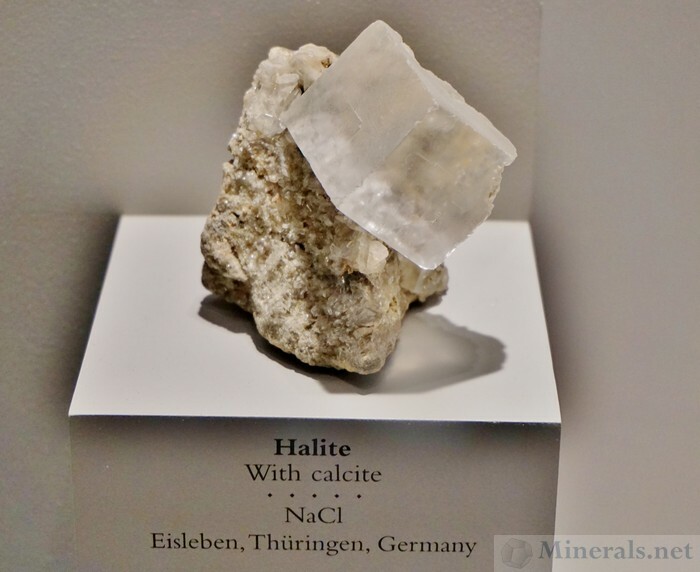 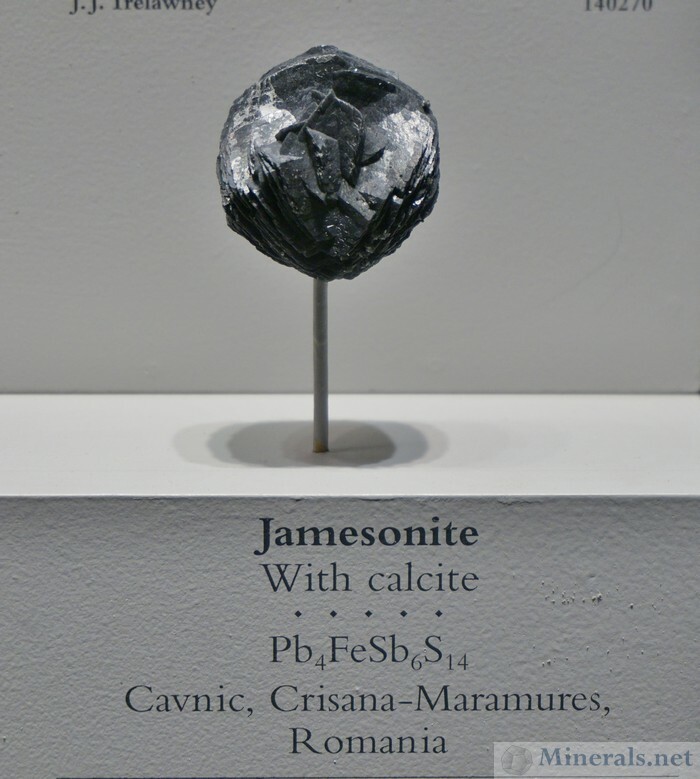 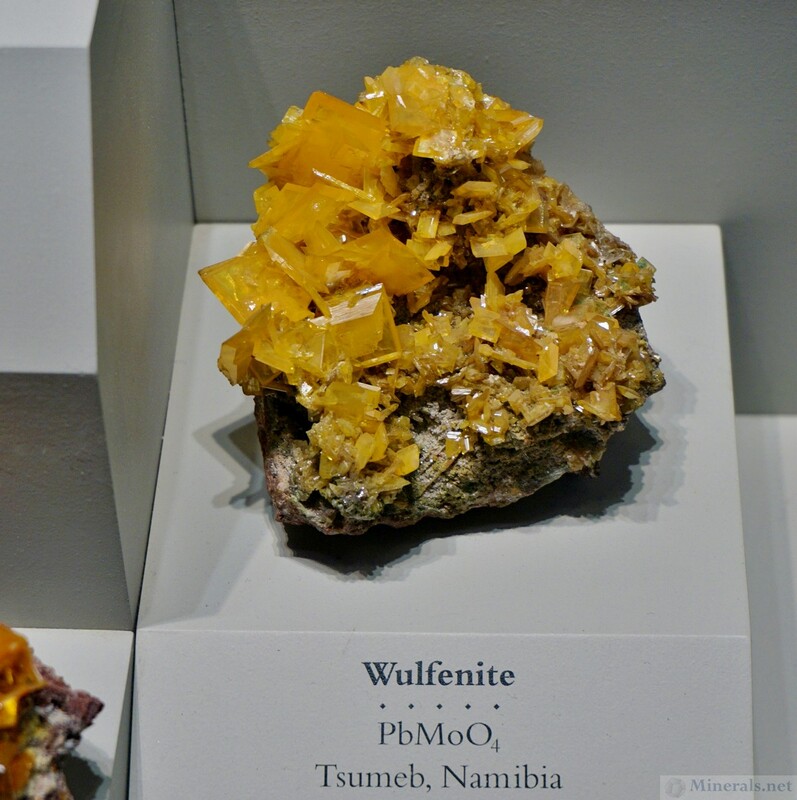 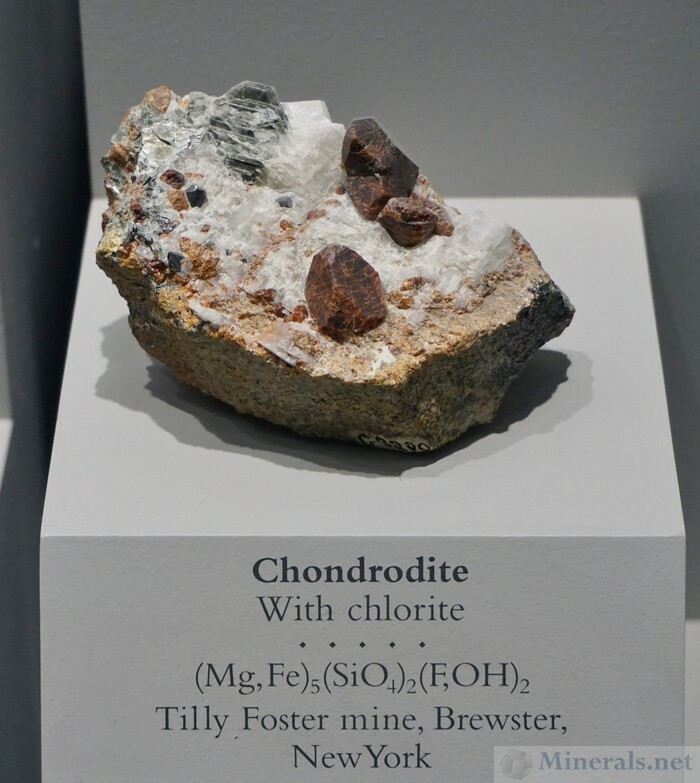 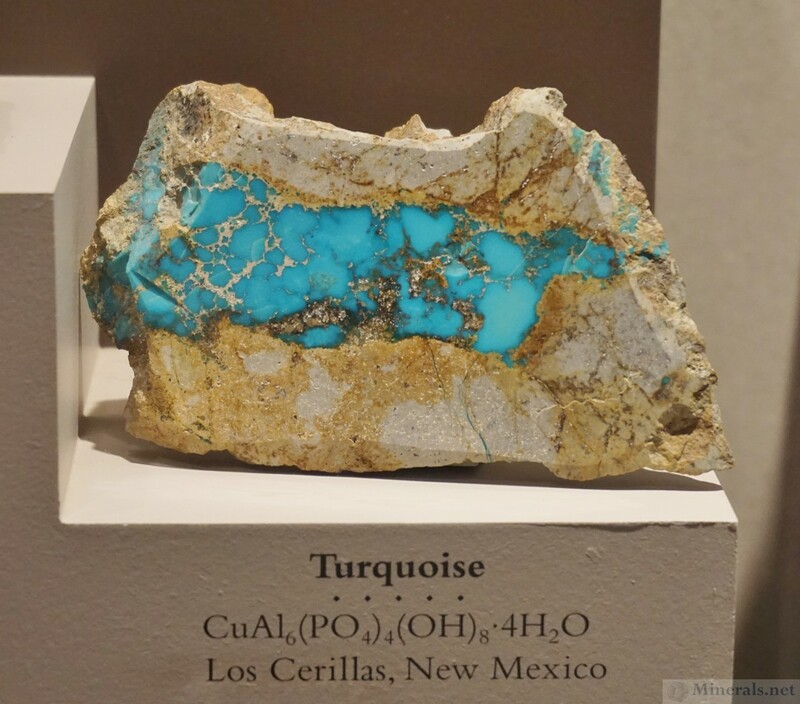 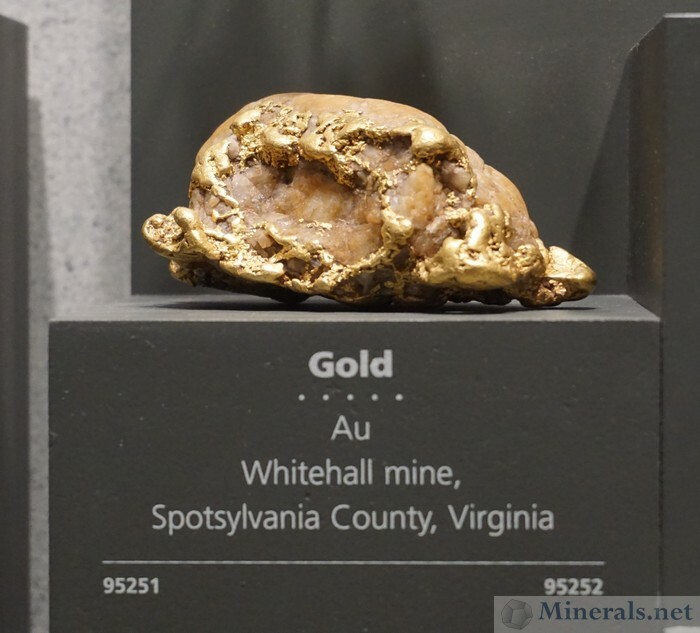 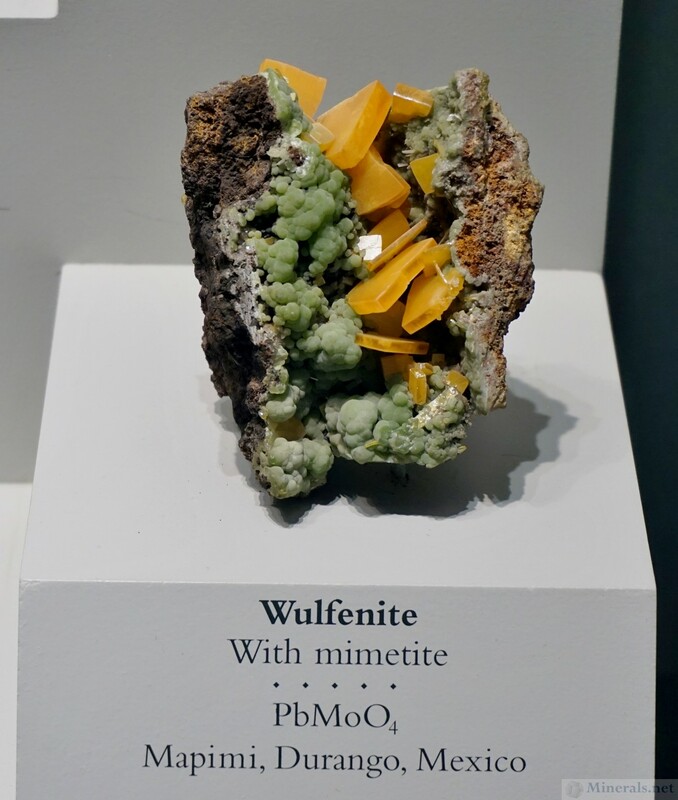 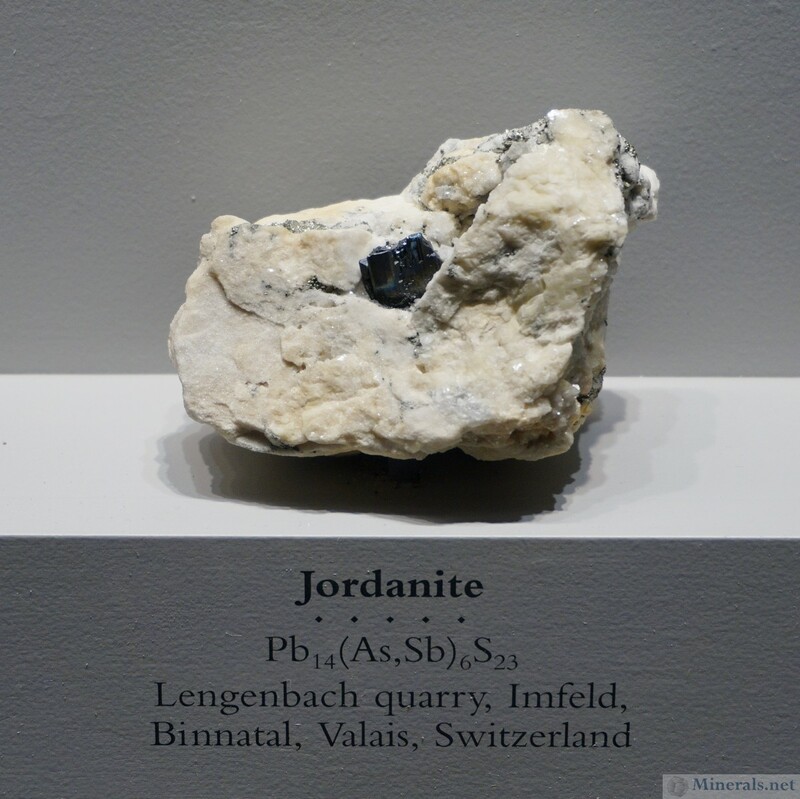 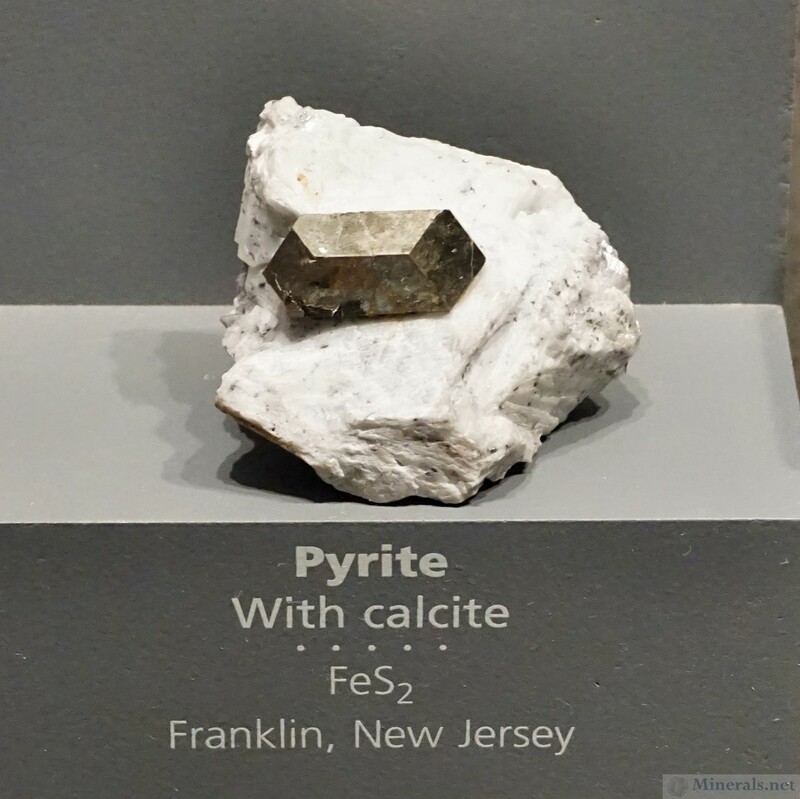 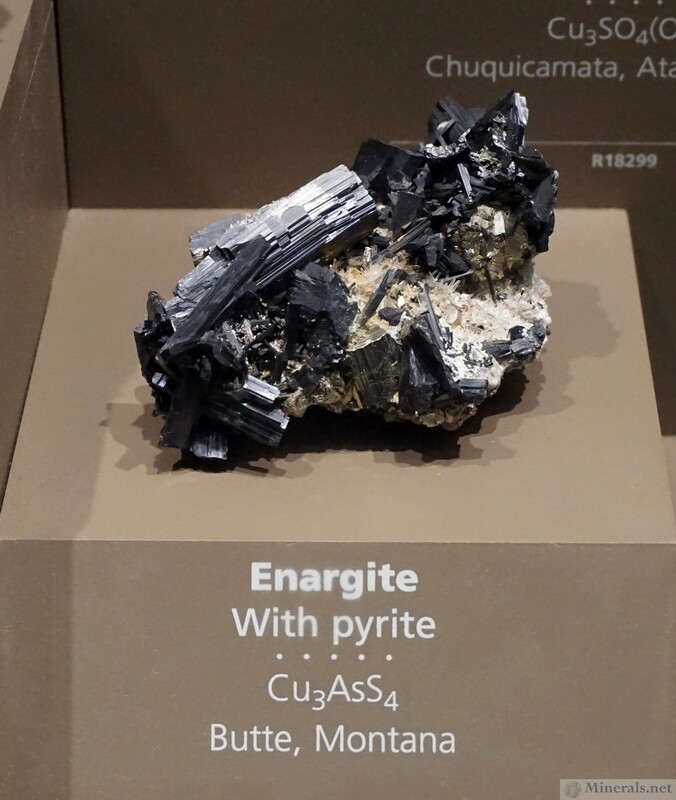 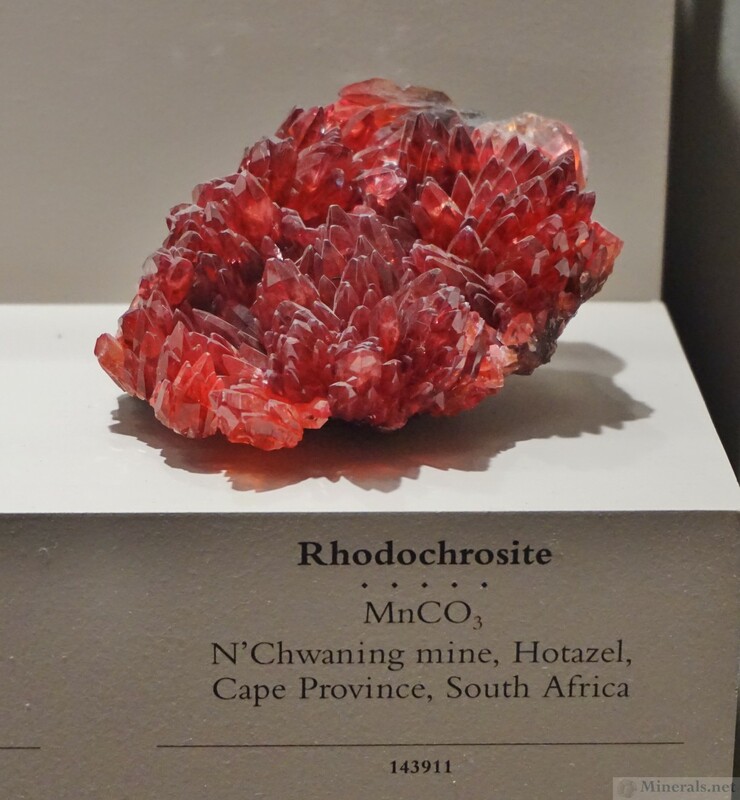 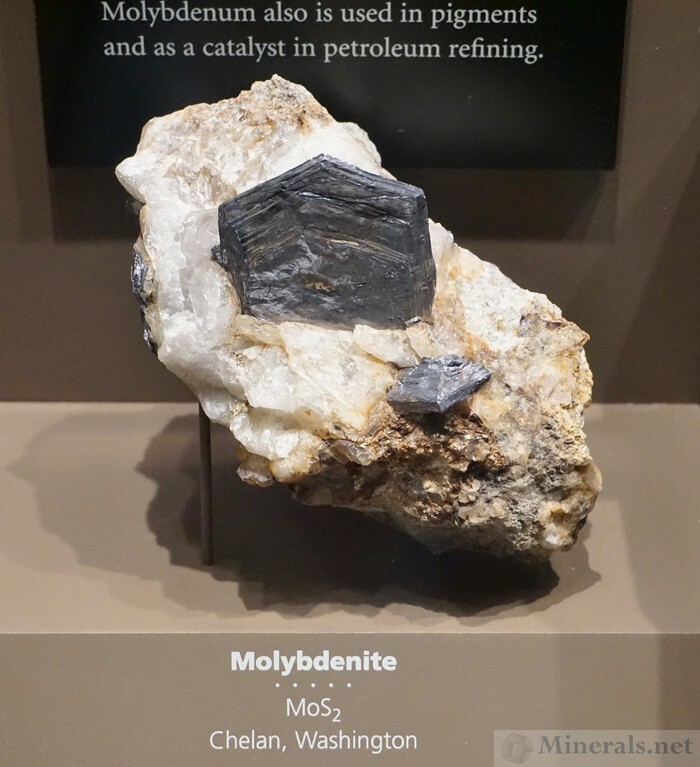 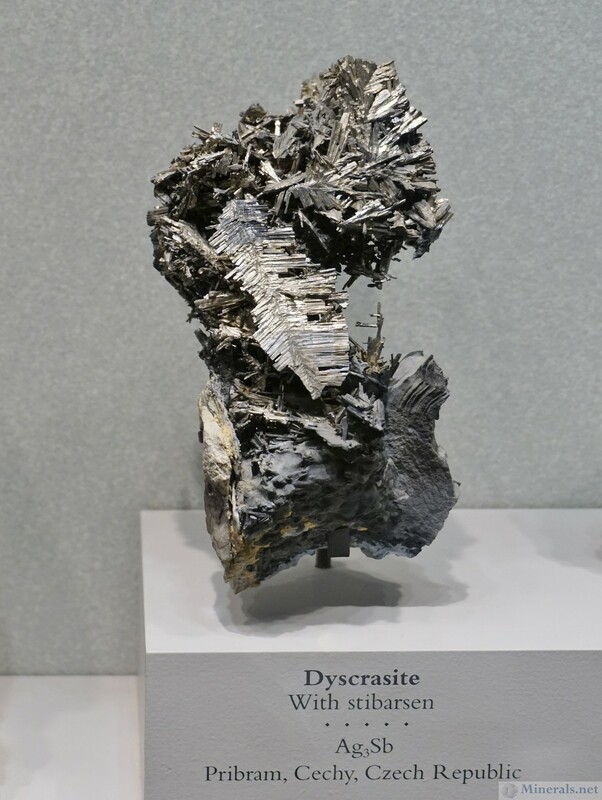 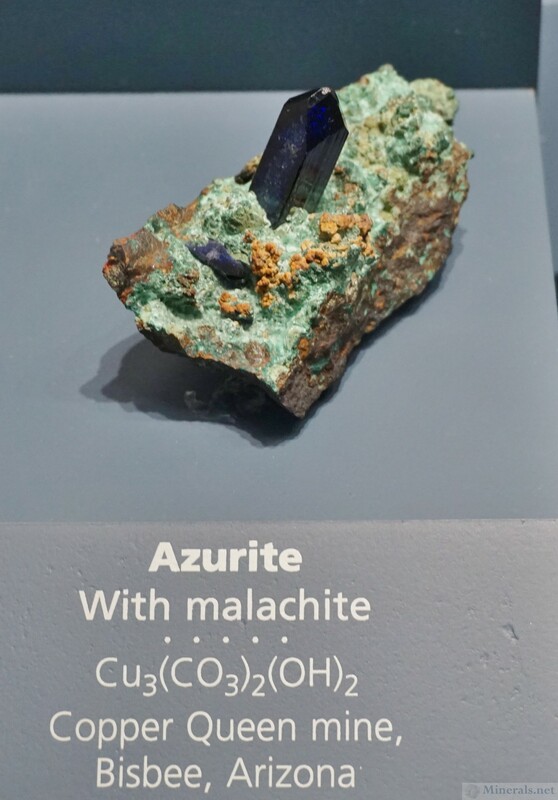 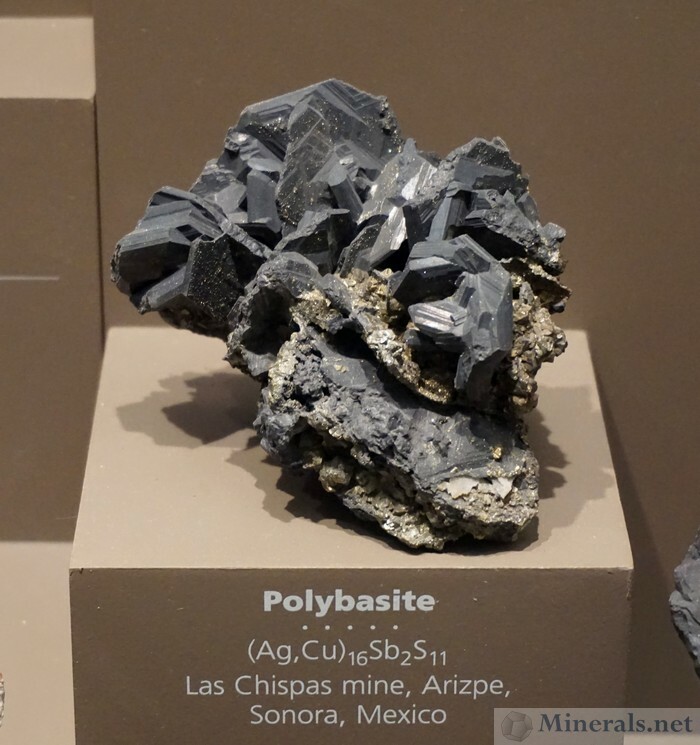 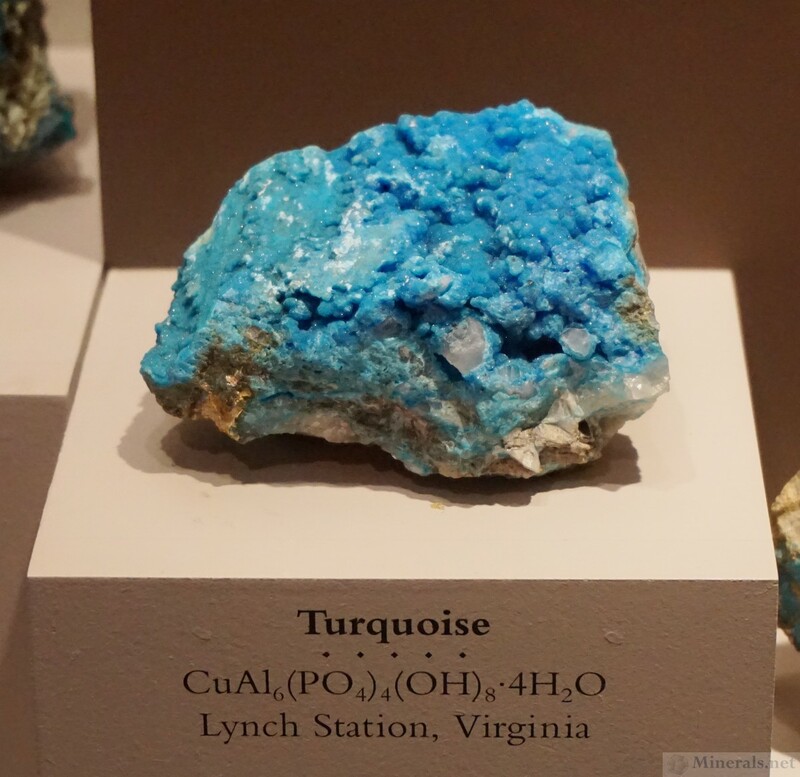 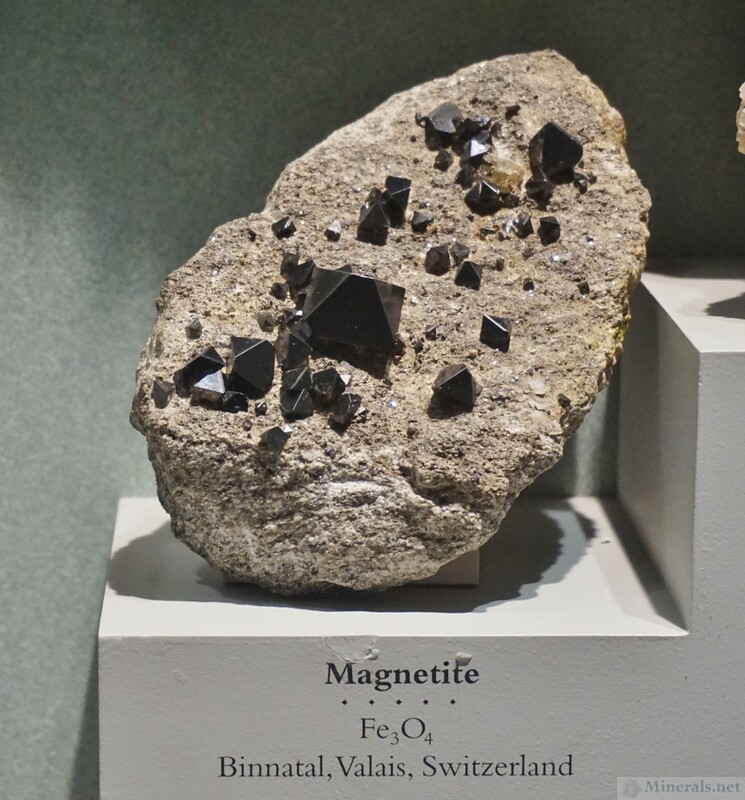 This post shows some of the oxides, sulfides, and halides in the Smithsonian collection. 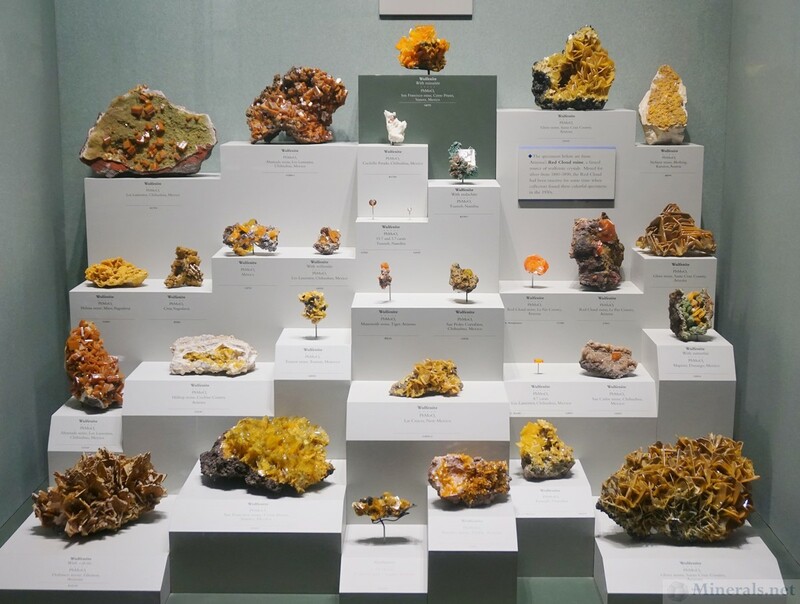 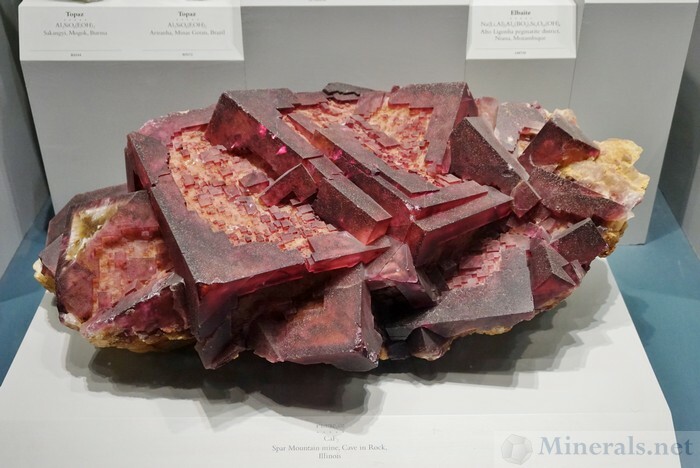 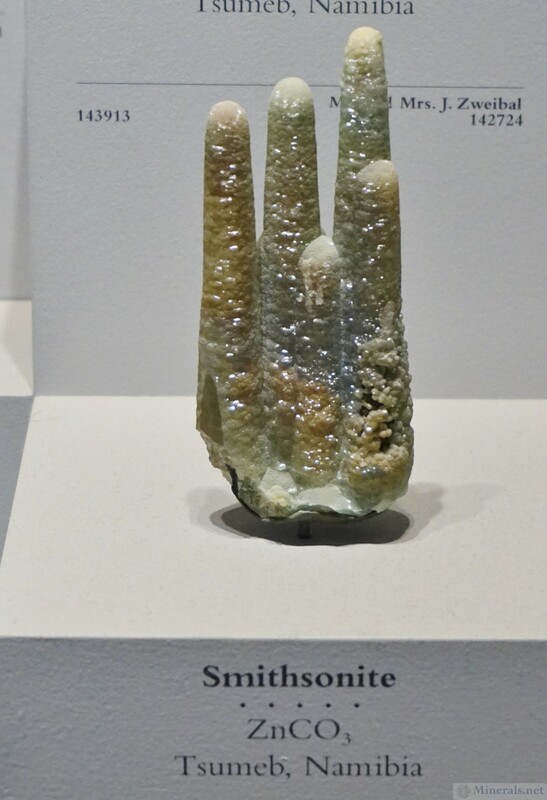 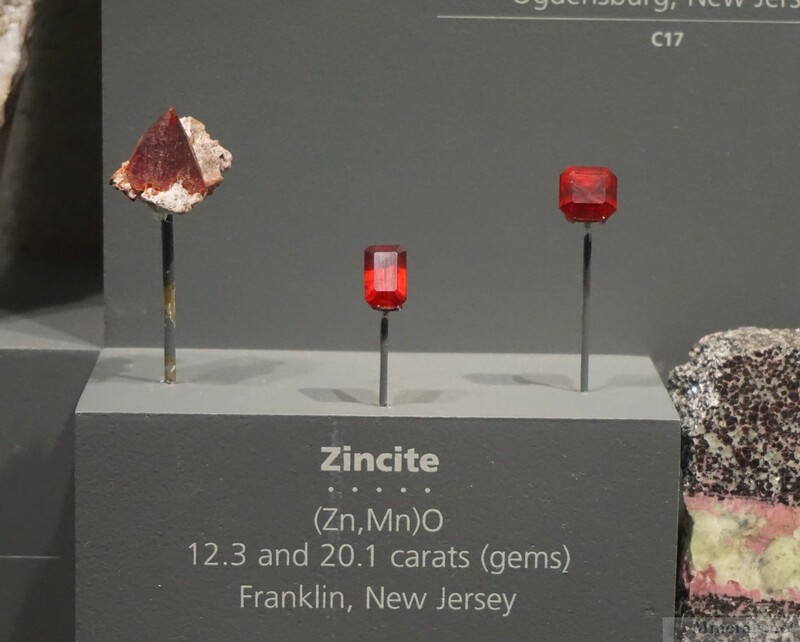 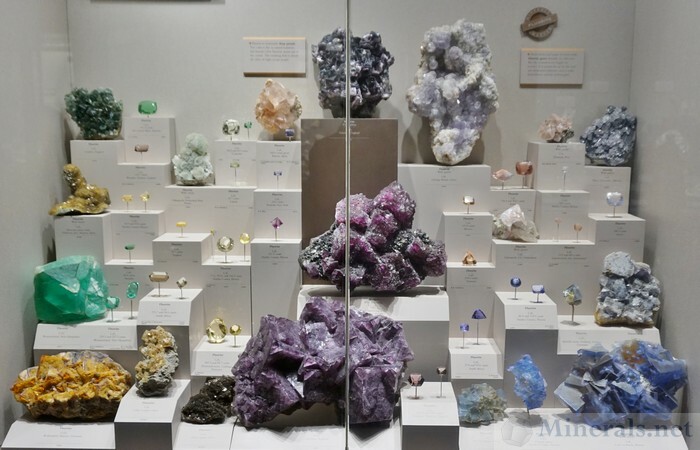 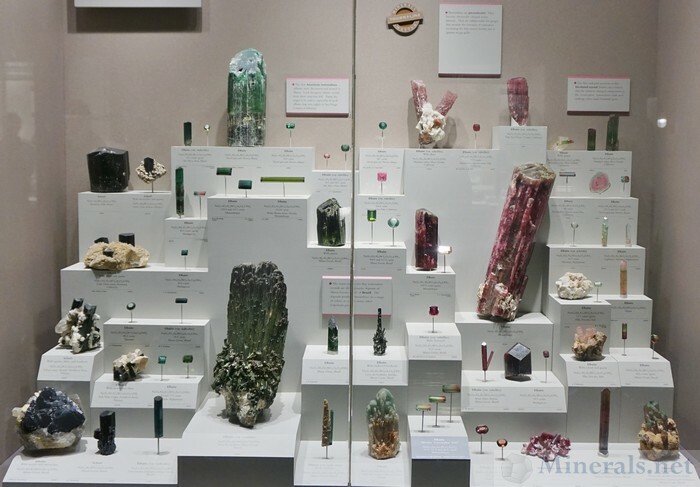 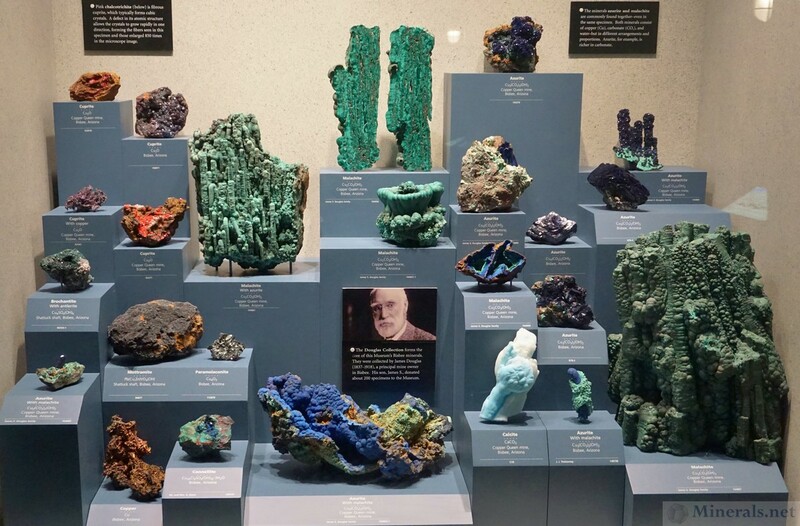 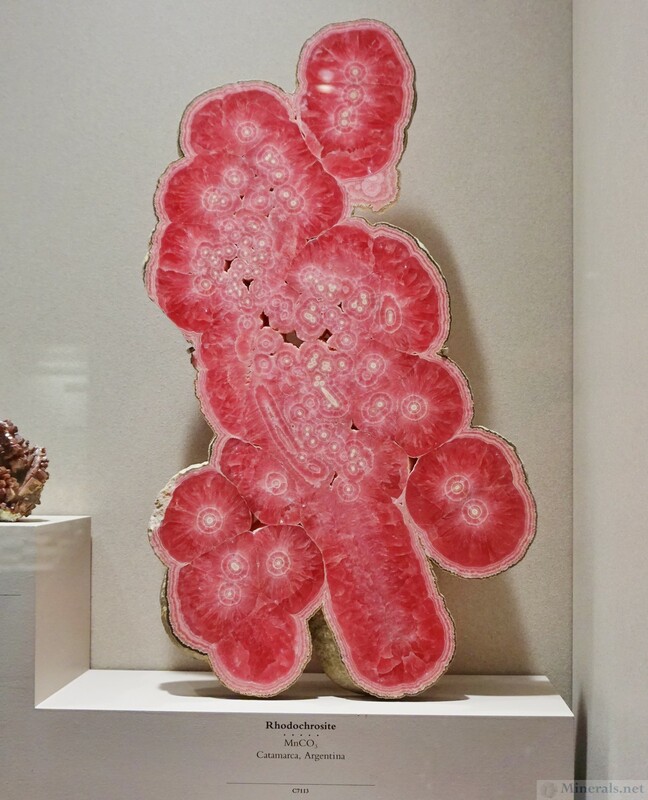 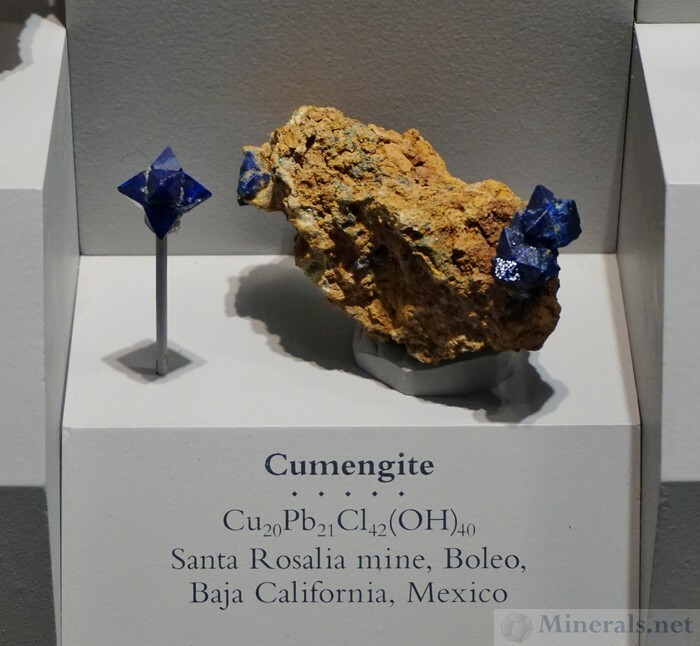 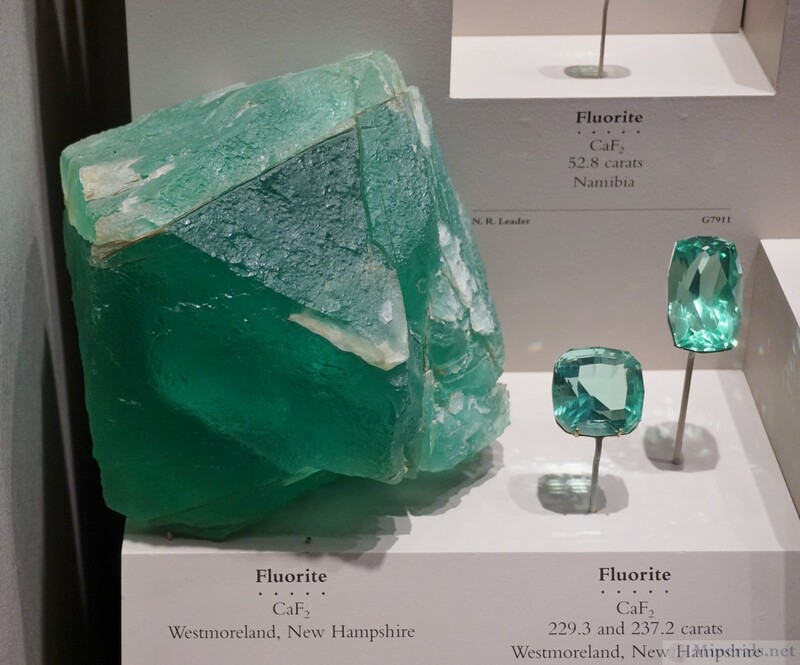 Our next post on the Smithsonian Natural History Museum gem and mineral collection features some of the exhibit cases that showcase minerals in the Smithsonian collection. 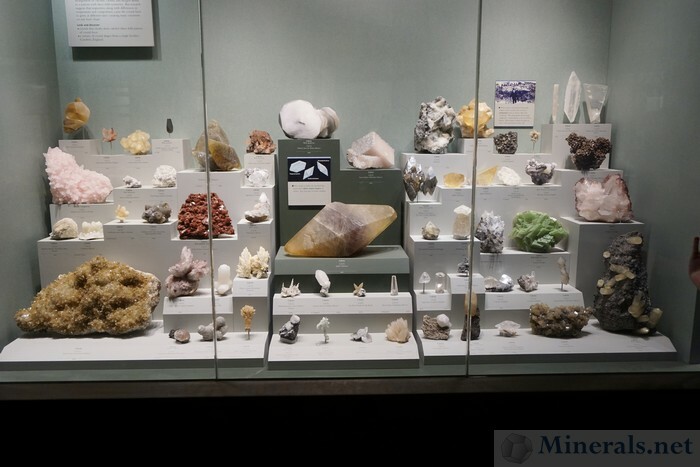 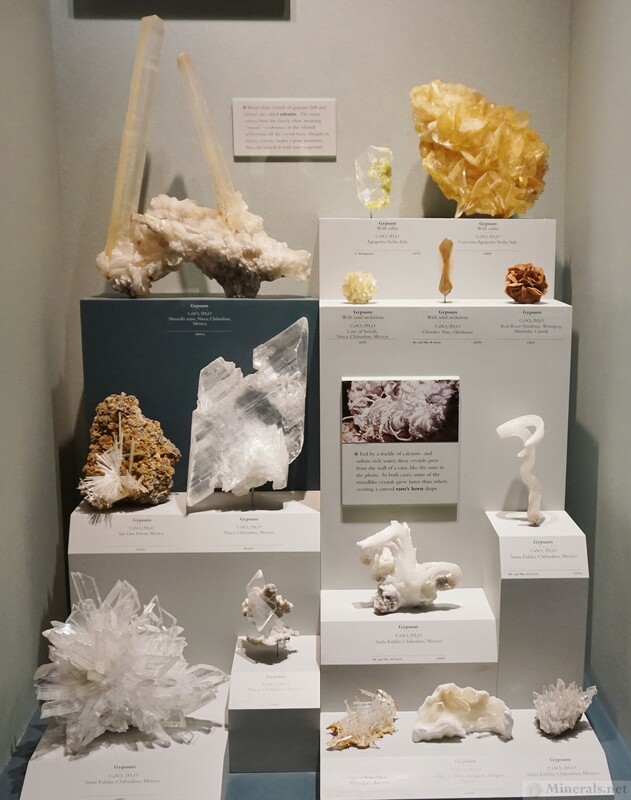 There are many different types of exhibit cases in the museum, and they are are grouped by themes such as mineral type, mineral group, or locality. 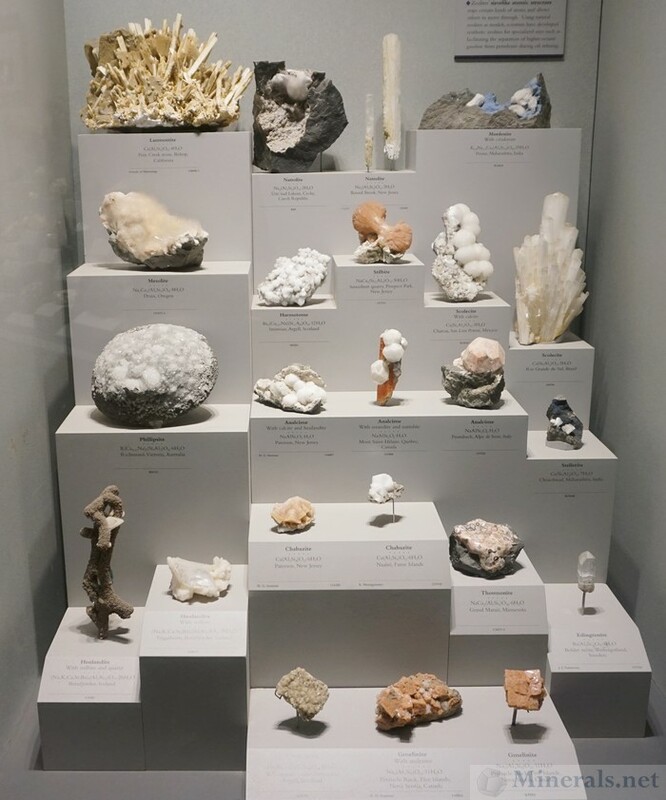 Our selection is by no means a full representation of all the exhibit cases; there are many more than those shown here. Our selection is just some of the more photogenic cases where our pictures came out well. Misc Exhibit Case. I am not sure what the theme for this case is. 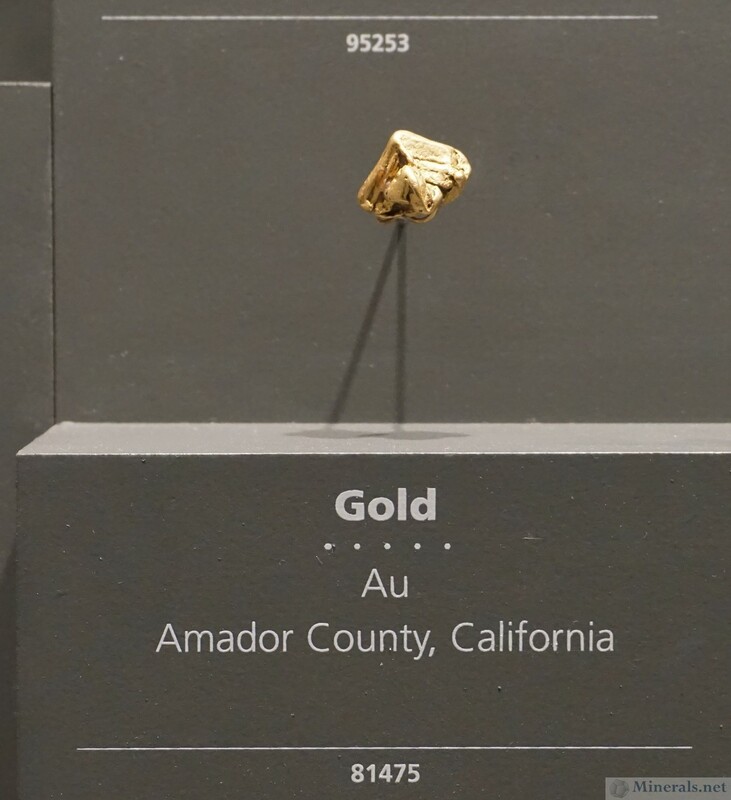 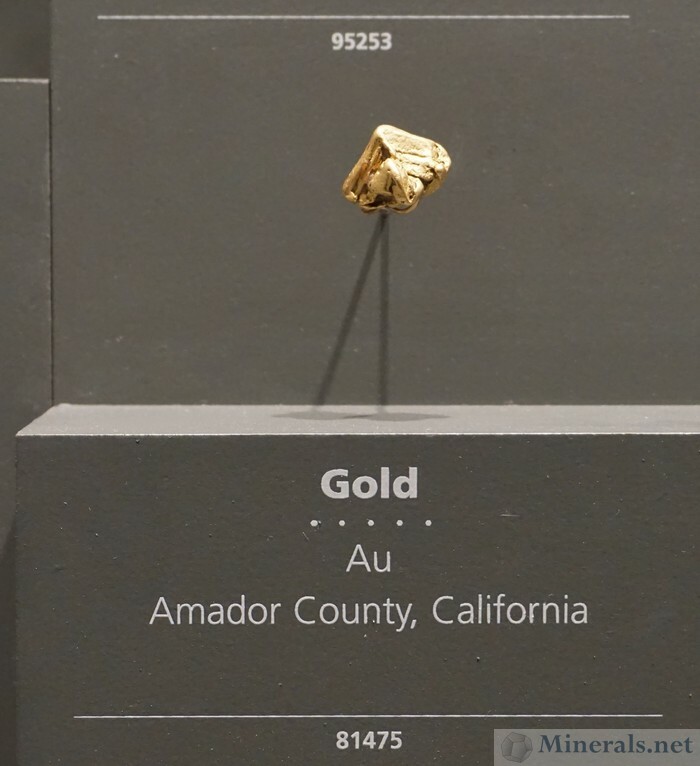 The Smithsonian gem and mineral collection contains an amazing array of Gold, Silver, and rare metal compounds. 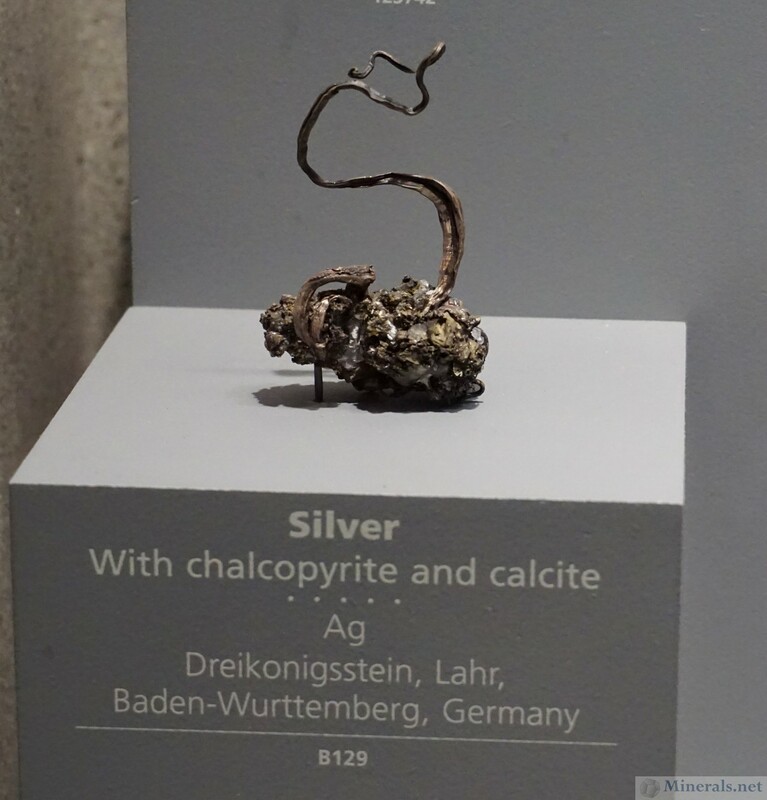 Many of the Gold and Silver specimens are among the finest for their localities, and there are also many examples from unusual localities. 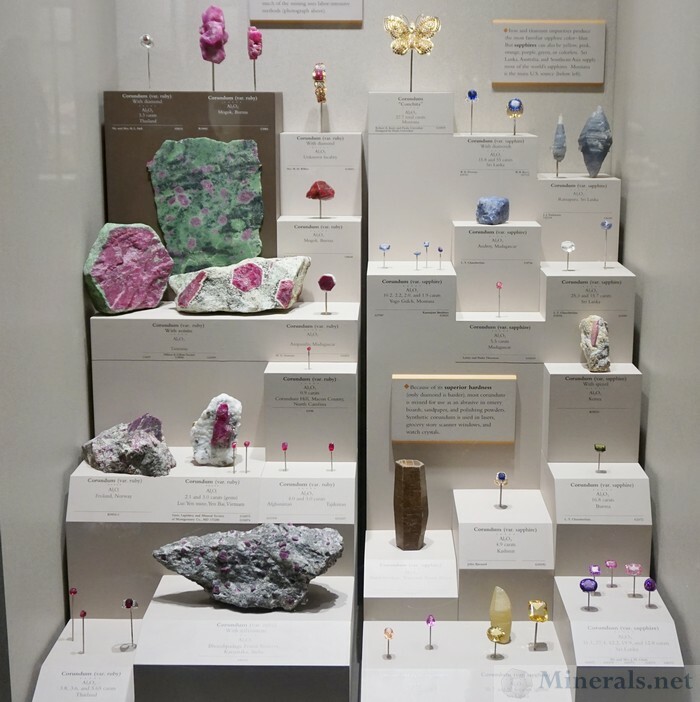 While not all the minerals show here are composed of precious metals, they are still rare and unusual examples of metallic compounds, especially sulfosalts.